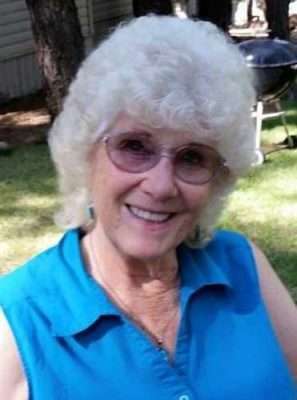 In loving memory of Jessie Lewis who passed away in Susanville, California on March 13, 2018. Jessie was born June 30, 1917 in Cloudcroft, New Mexico. Her parents were James Alexander Buie and MinnieMae Sewell Buie. She went to the Lord March 13, 2018, after living the past 10 years in Lassen Nursing and Rehab and Eagle Lake Village, Susanville, California. Jessie was preceded in death by her husband, Ira (Louie) David Lewis, Jr.; her four children, Geraldine Rice Charlan, Shirley Mae Rice Dillin, Ernestine Rice Fields and James Lewis; and grandson, Michael Fields; and her brothers and sisters in New Mexico, Texas and Oregon. She is survived by grandchildren, Michel Dillin Lavin, Jack Lavin, Sandy Dillin, Rhonda Fields, Diane Charlan O’Brien, Denise Charlan Hoveland and Doug Charlan; two great-grandchildren; and two great-great grandchildren. Jessie moved to Susanville in the early 1950’s with her three daughters, Gerry, Shirley and Teenie. She worked at the White Fountain on Main Street across from Lassen High School. She enjoyed working at the soda fountain serving the kids. Jessie and Louie married November 20, 1957. Louie was employed at the Sierra Pacific Lumber Mill as a scaler. Jessie was proud to serve the Lord at the St. Paul’s Lutheran Church for more than 50 years. She loved being a Sunday school teacher, Altar Guild, and provided many of the flowers from her beautiful garden for Sunday services. She became a very accomplished painter. winning several awards for her beautiful oil paintings, mostly of the local mountains and lakes. In 1986, she was honored with the Lassen County Homemaker of the year through participation in the Lassen County Fair. She received many blue ribbons for her flowers, canned berries, fruit and vegetables grown in her yard, clothing, baked goods and artwork. Jessie and her family enjoyed many wonderful years in Susanville. Funeral services were held at 11 a.m. on Saturday, March 17, 2018 at the St. Paul’s Lutheran Church at 105 Ash St. in Susanville followed by a gravesite service at Diamond Crest Cemetery. May 6, 1939 – March 9, 2018. Loretta was a life long resident of Westwood. She was a great cook and avid outdoors woman, who loved camping, hunting and fishing. 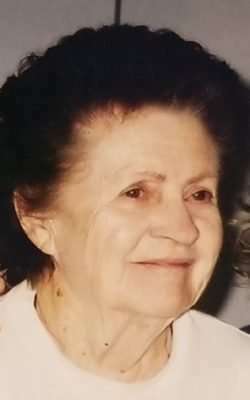 Loretta is survived by daughters, Janet Brent Butts (Rory Burke) and Jeani Brent; sister, Jeanette Sievers (Bill); brother, Kenneth Summers; sister-in-law, Betty Summers; numerous grandchildren, great- grandchildren and a great-great- grandchild; plus many nieces and nephews, extended family and friends. A potluck celebration of life will be held at the Westwood Community Center at 1 p.m. on Saturday, March 17, 2018. Ernest “Ernie” Sidney Gorbet, age 81, passed away peacefully on Monday March 12, 2018 at Carson Tahoe Hospital in Carson City, Nevada. He was born Nov. 28, 1936 in Lomita, California, to Otha James and Dorthy May Gorbet. He graduated from Lassen High School in 1954. He served in the Army National Guard and was a part of the Honor Guard. He had four children from a pervious marriage; Donald James, Peter Morey, Joan Yvonne, Carolyn Marie. He married the love of his life, Linda Hicks, on April 25, 1970 in Reno, Nevada. They had six more children, Mandey Lindelle, Tina Leanne, Ernest Theadore, Dorothy Danielle, Charlene Louise. Ernie loved spending time outdoors, hunting and fishing. He also enjoyed racing cars and watching NASCAR. He especially enjoyed spending time with all his children and grandchildren. He was proceeded in death by his parents, Otha and Dorothy; his brother, Chuck; his sister, Carolyn; and his son, Paul Anthony. He is survived by his wife, Linda Gorbet; his brother, Bill Gorbet; his sister, Linda Hay; and his many children and grandchildren. Family, friends and others whose lives Ernie touched are invited to Jensen Hall at the Lassen County Fairgrounds, March 25, 2018 at 2 p.m. for a Celebration of Life. 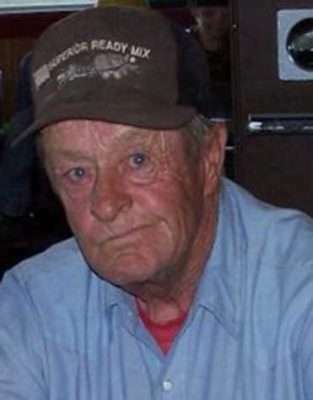 The family is requesting in lieu of flowers to make donations to Lassen Sportsman Club: Junior Fishing Derby in honor of Ernie. Donations can be sent to Carla Dieter, 259 Maple St, Susanville, CA 96127.